Are you looking for support, ideas, encouragement, and accountability in your journey toward making a life that matters? I love working with women who are motivated to define, pursue, and accomplish their goals, personally and/or professionally. 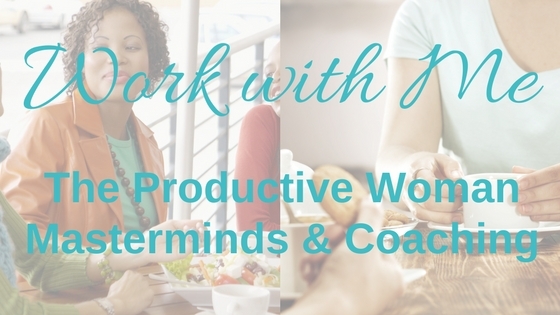 If you're interested in being part of a small group of like-minded women who'll help brainstorm solutions and support each other, check out The Productive Woman Mastermind groups. If personalized 1:1 productivity coaching would be better suited to your personality or schedule, check out The Productive Woman Coaching. Either way, I'd love to come alongside you in your journey.